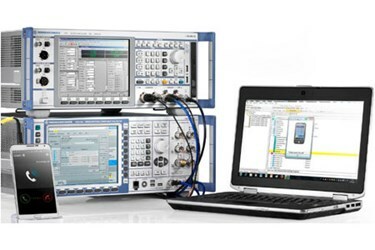 This Rohde & Schwarz application note and associated application software may be used to conduct psychoacoustic speech quality evaluation for Voice over LTE (VoLTE) connections. The measurements are based on recommendations ITU-T P.862 and ITU-T P.863, respectively. The R&S CMWrun Software Sequencer Tool example sequences perform decoder / encoder calibration, connection setup for the UE under test and subsequent speech quality analysis under IP impairment conditions.